After superstorm Sandy inundated the 9/11 Museum and nearly submerged some of the massive artifacts in an under-construction exhibition space, officials are developing a plan to protect its most fragile and emotionally evocative items—photographs, missing-person posters, wallets, prayer cards and other keepsakes from victims. 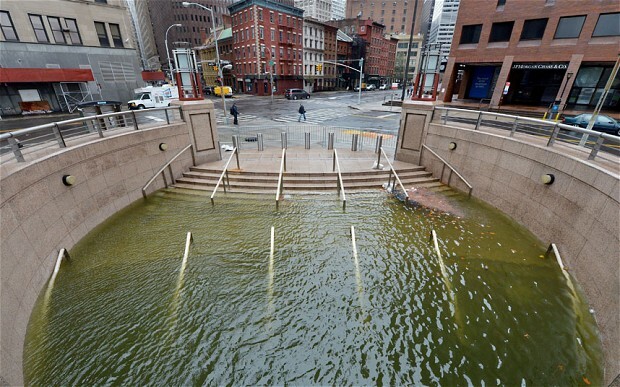 The Oct. 29 storm flooded the underground museum with more than 7 feet of water, causing small amounts of damage to large artifacts such as firetrucks, an ambulance and World Trade Center steel, including the “Last Column,” which bears inscriptions from first responders, recovery workers and family members. Smaller, more delicate items were safe in off-site storage, but museum officials said the flood made them step back and take stock of their safety should another storm of Sandy’s magnitude strike. These objects, which carry deep personal meaning for the family members who donated them, would be located below street level in one of the most flood-prone areas of the city, said Joe Daniels, president of the National September 11 Memorial & Museum.